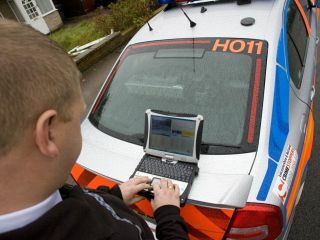 A UK police force has decided to use Panasonic Toughbooks to conduct electronic witness statements, using technology to replace the current manual paper process. The Avon & Somerset Constabulary will conduct a three-month trial with the Panasonic Toughbook – a rugged laptop constructed to be used in the field. The trial is being supported by the National Policing Improvement Agency (NPIA) and the Crown Prosecution Service (CPS) and the results will form "an integral part of a larger project working towards a fully electronic case file." Using Form Patrol software from HeliMedia, officers can take statements and take digital signatures using the touchscreen and stylus. Inspector Kevin McCarthy, from the NPIA Digital Evidence Programme, commented: "The EWS pilot is intended to demonstrate radical improvements to the criminal justice process from the initial arrest phase, through custody and onto the eventual court appearance. "The typed documents created and distributed electronically will be easier to read, and accessible instantly via a desktop computer or laptop. "It is vital that the adopted system will ensure complete integrity of the statement, whilst improving data quality and streamlining the whole process. "In particular, we expect to demonstrate the savings in the time and cost of managing the criminal justice back office process."